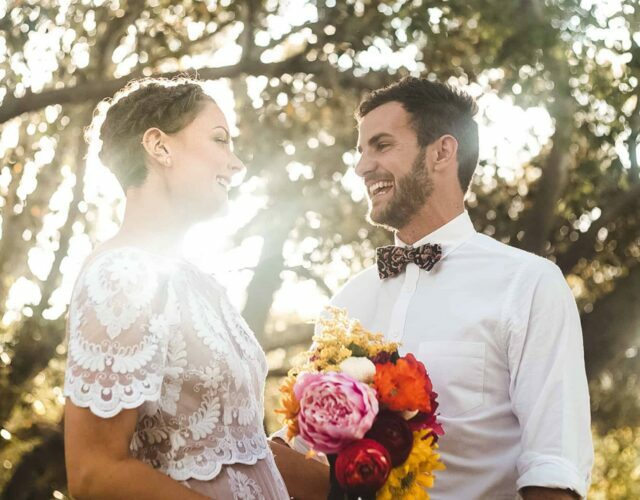 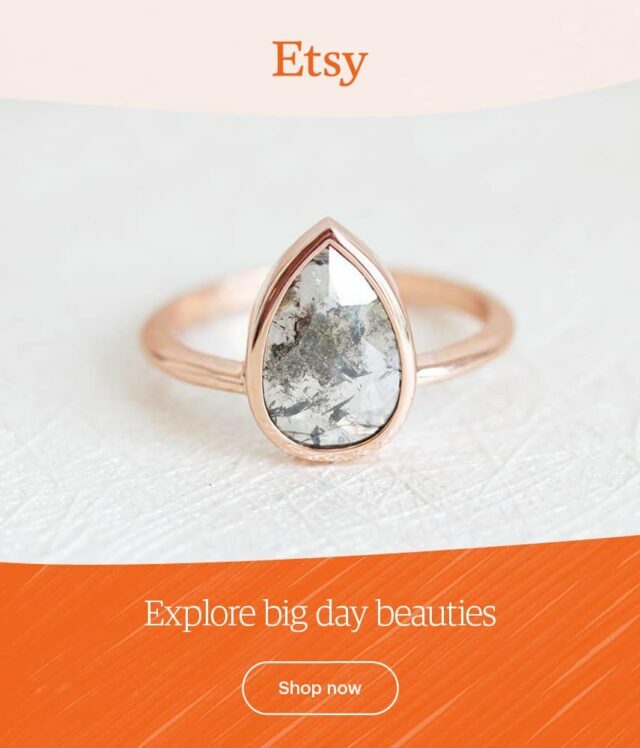 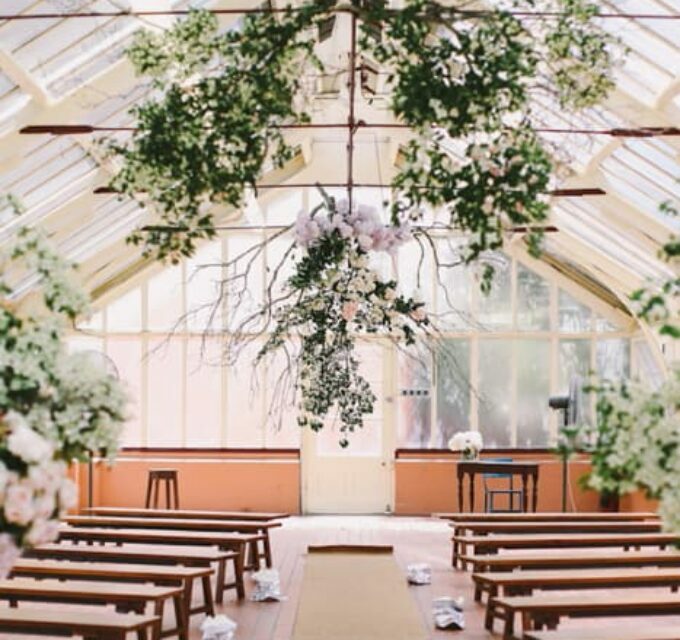 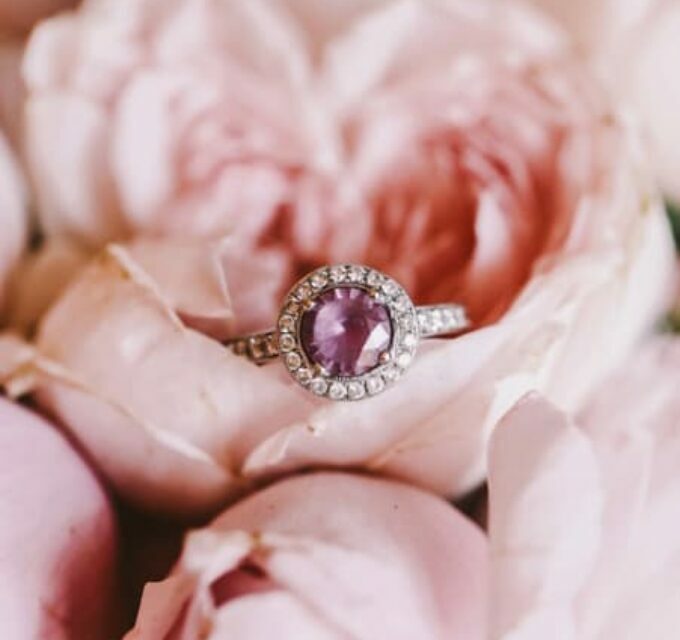 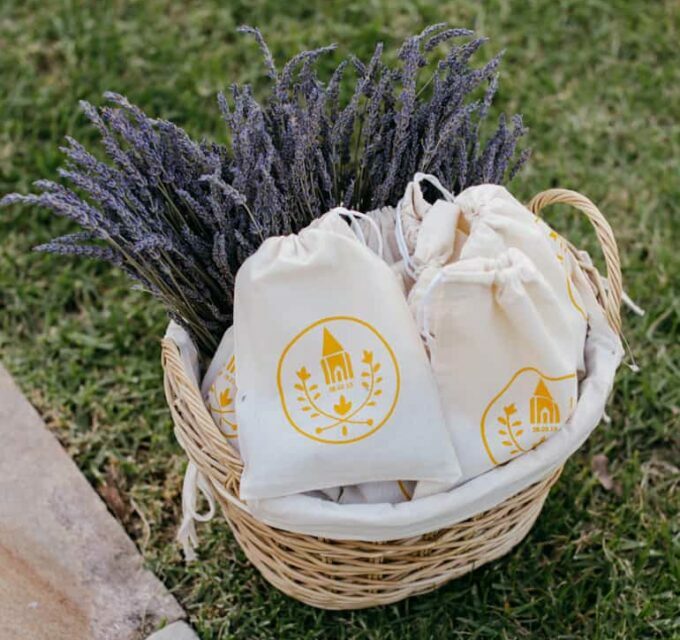 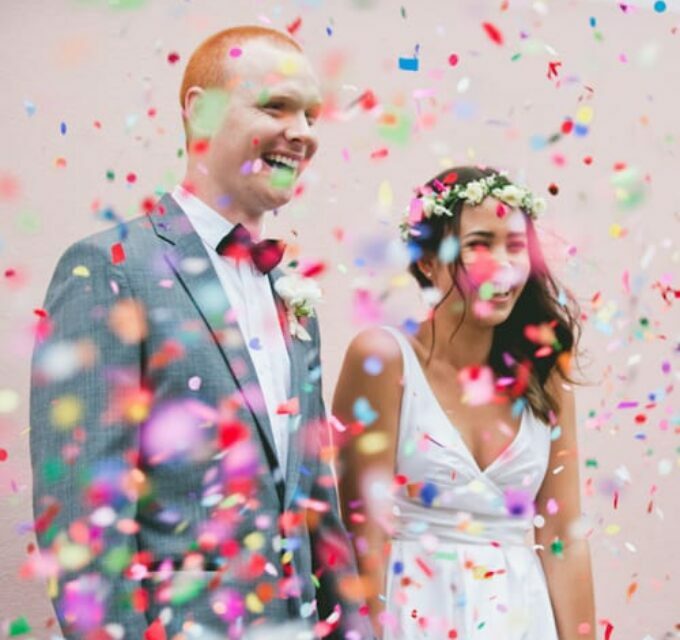 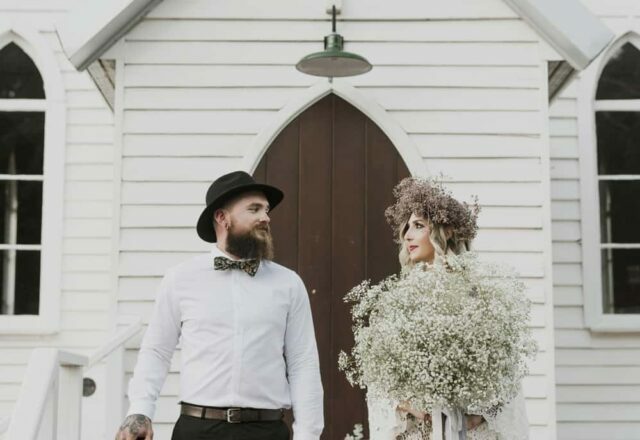 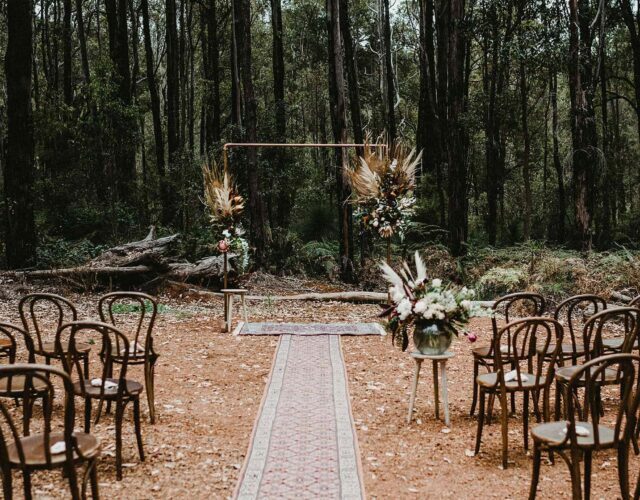 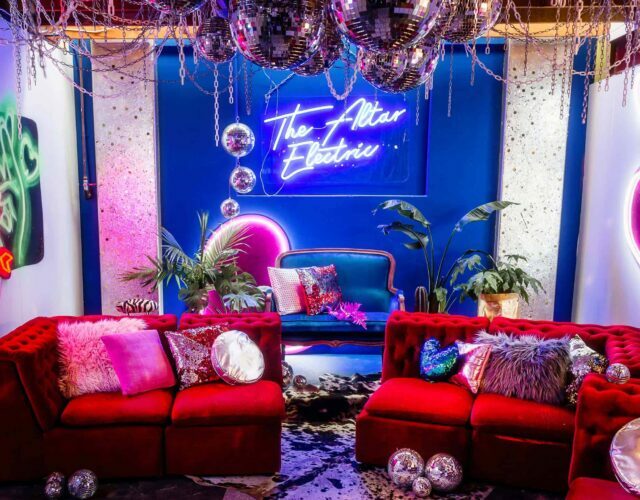 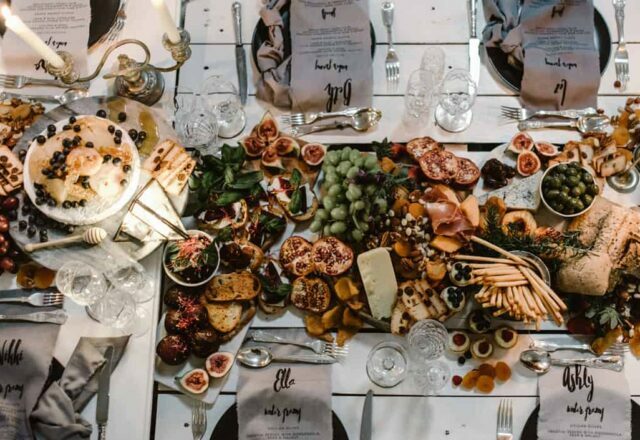 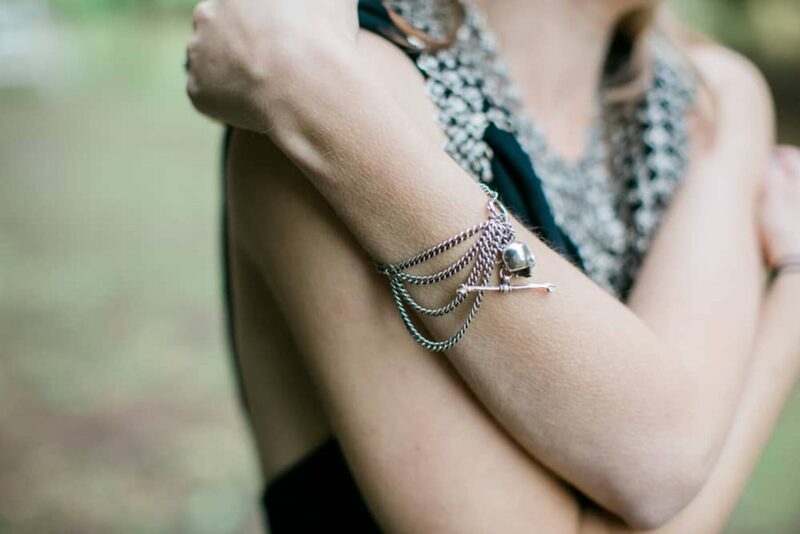 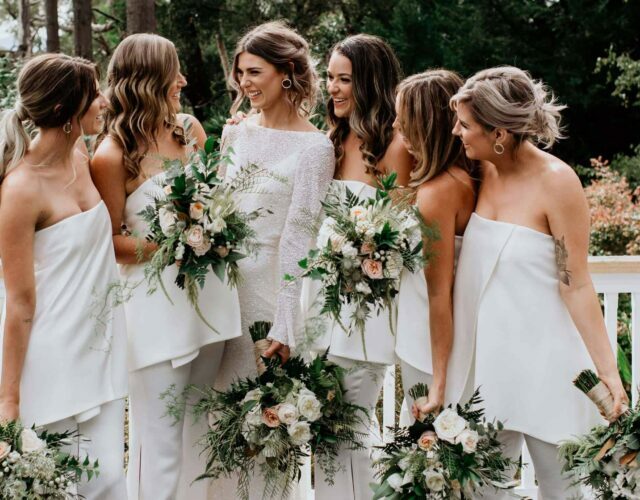 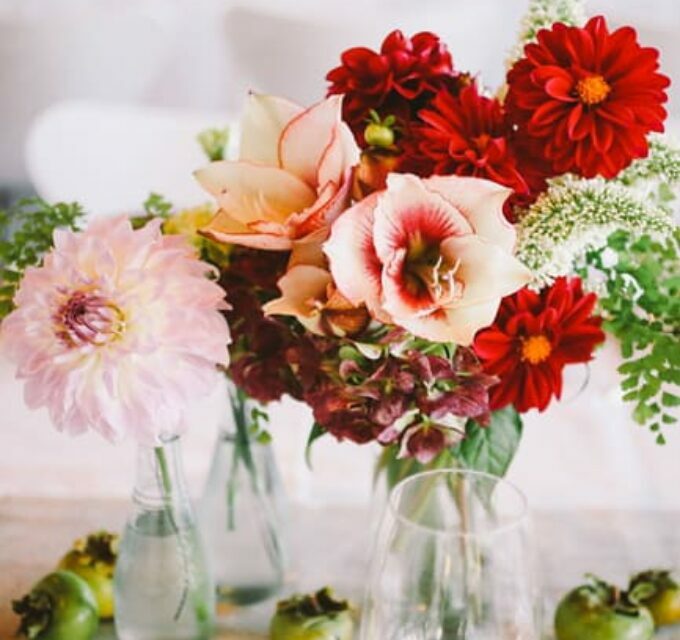 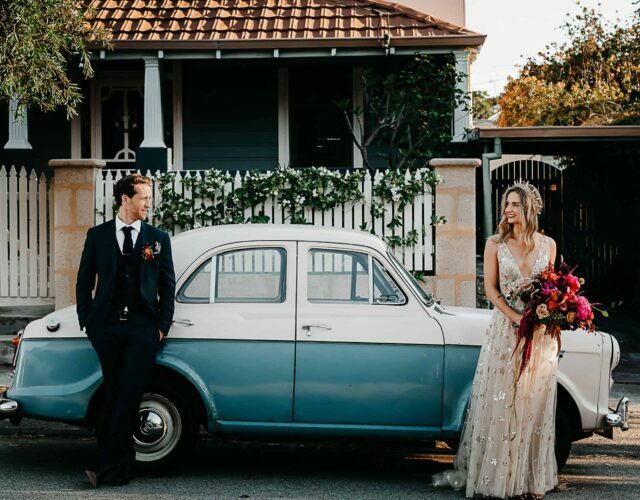 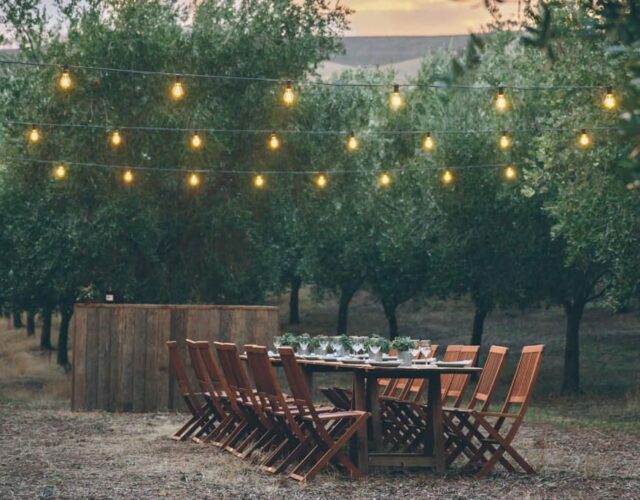 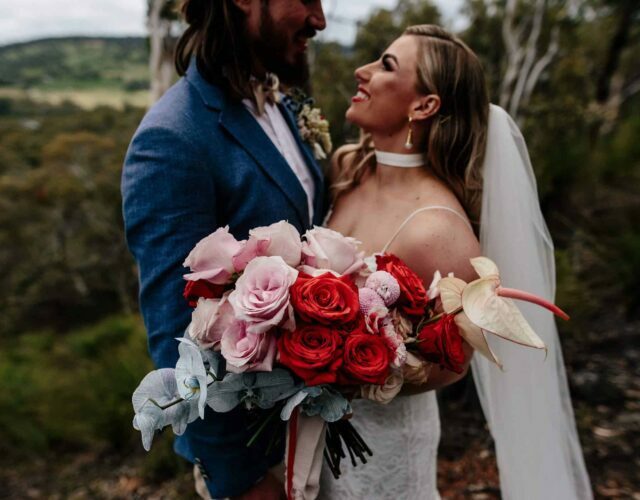 We’re taking a little trip to the bottom left corner of the country today, with some dreamy inspiration by Flossy Photography and a team of WA creatives. 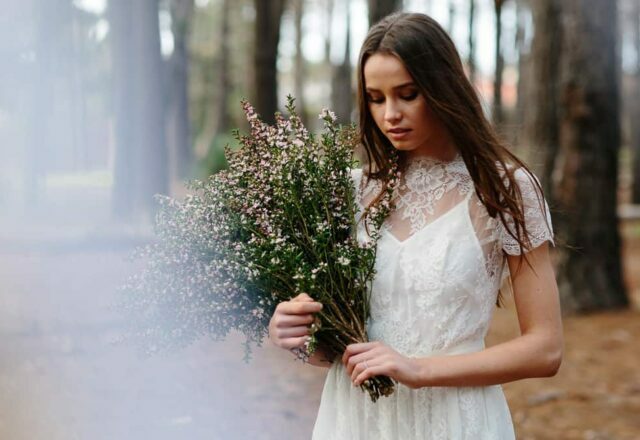 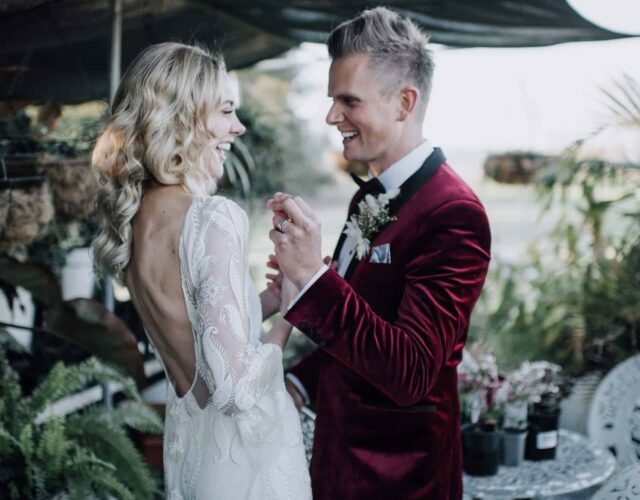 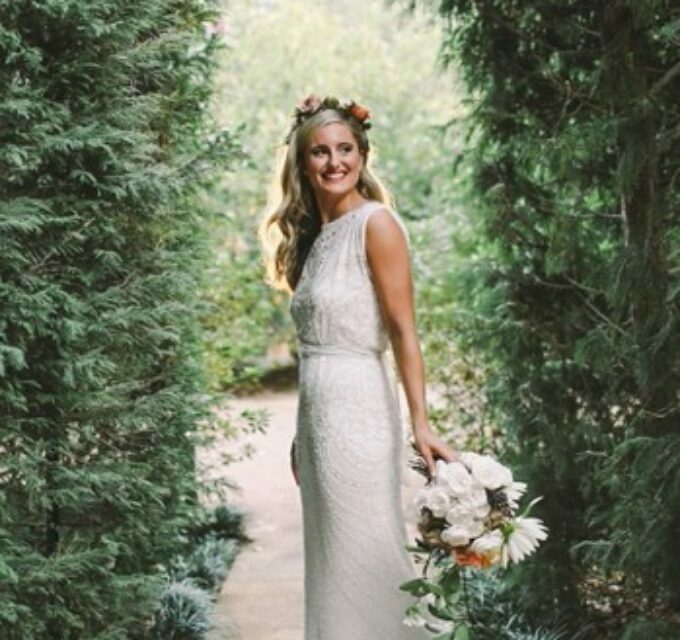 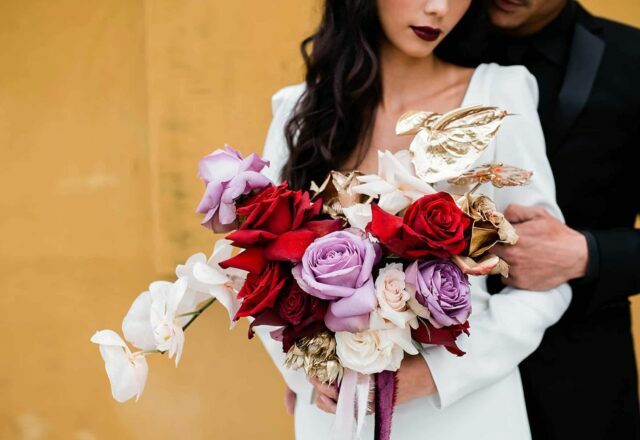 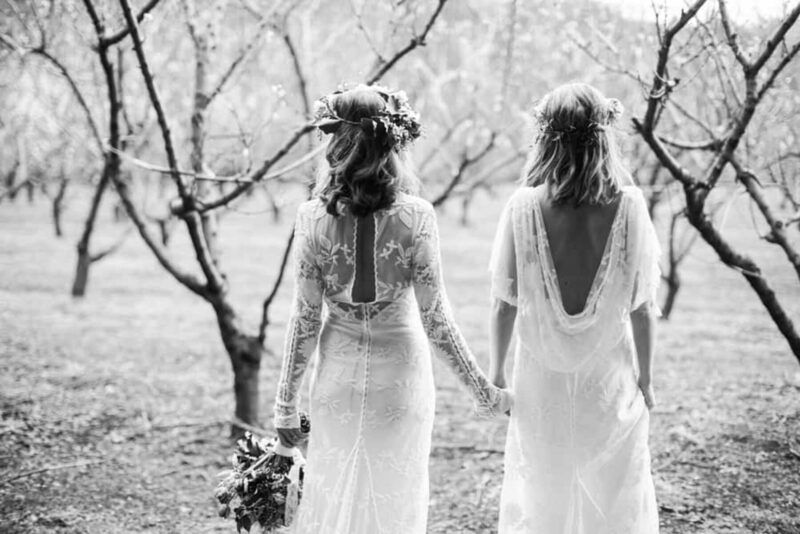 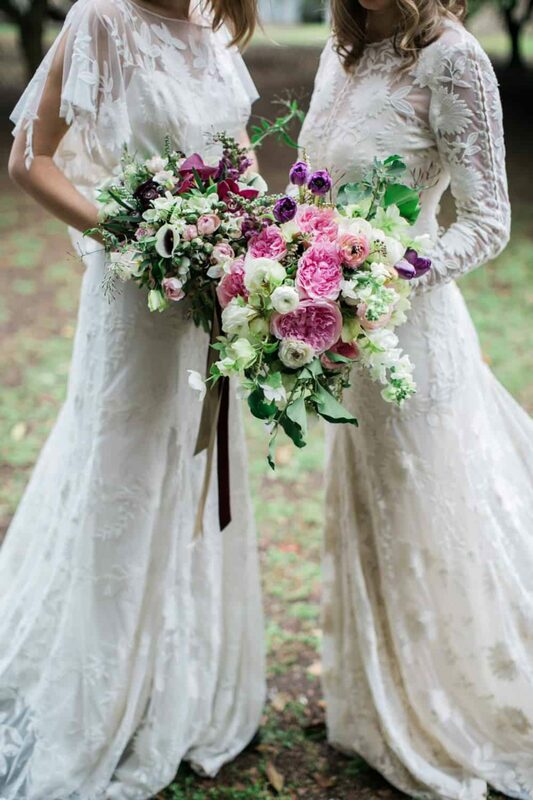 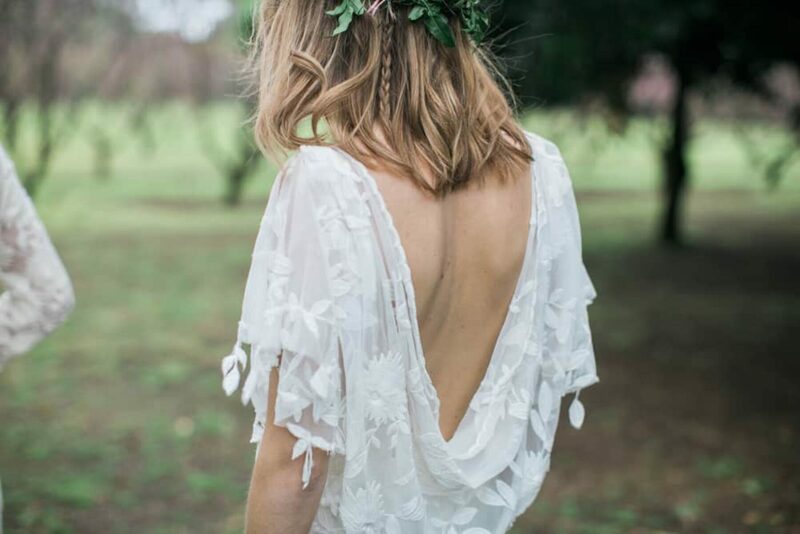 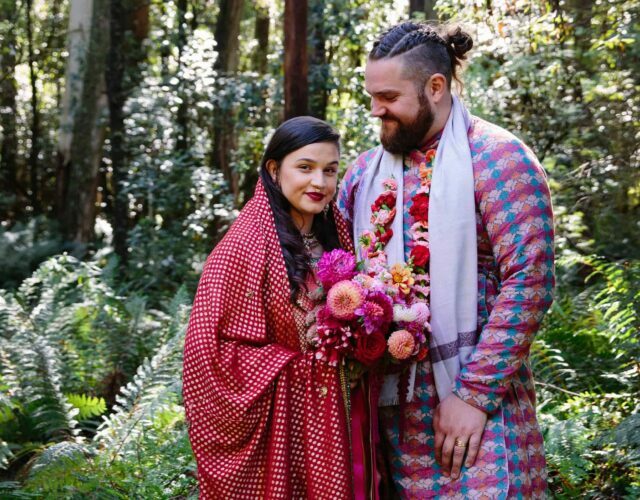 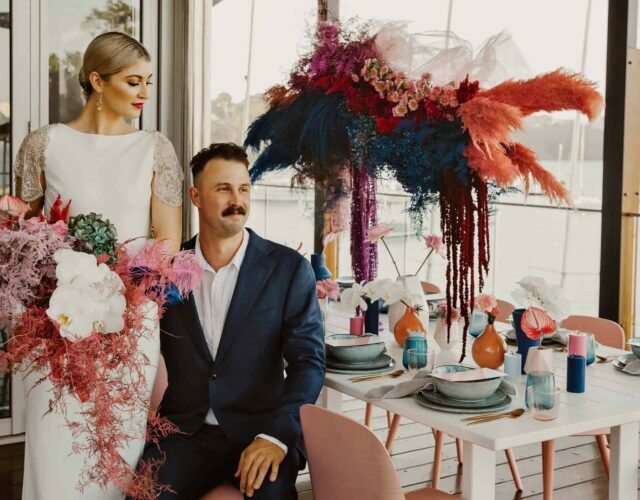 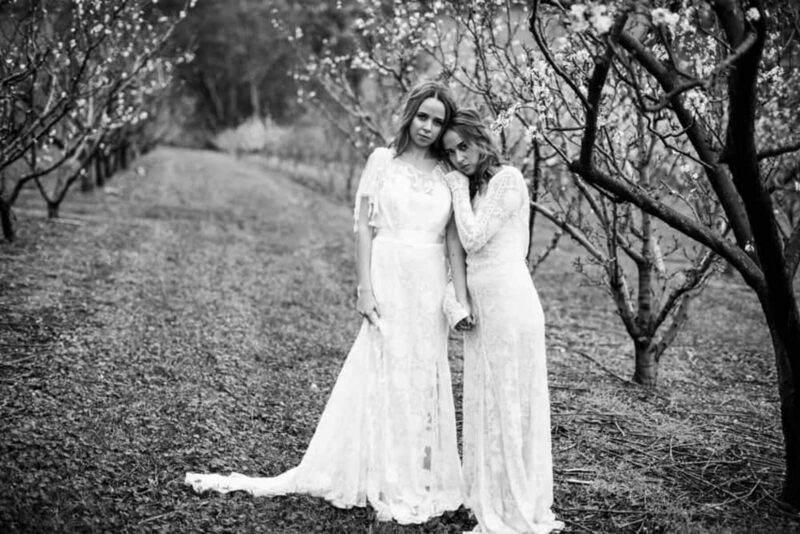 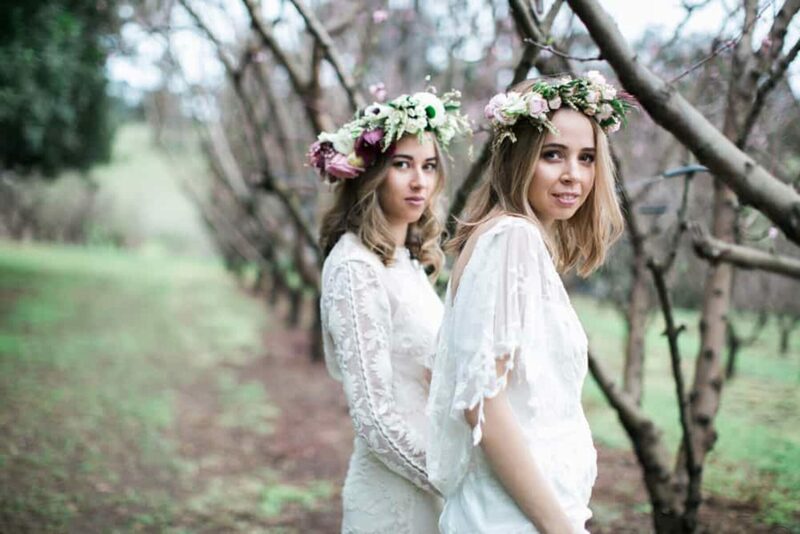 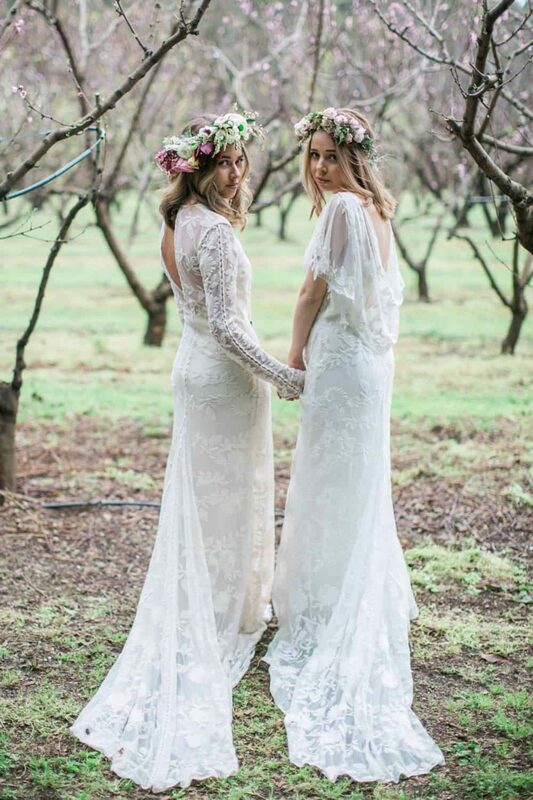 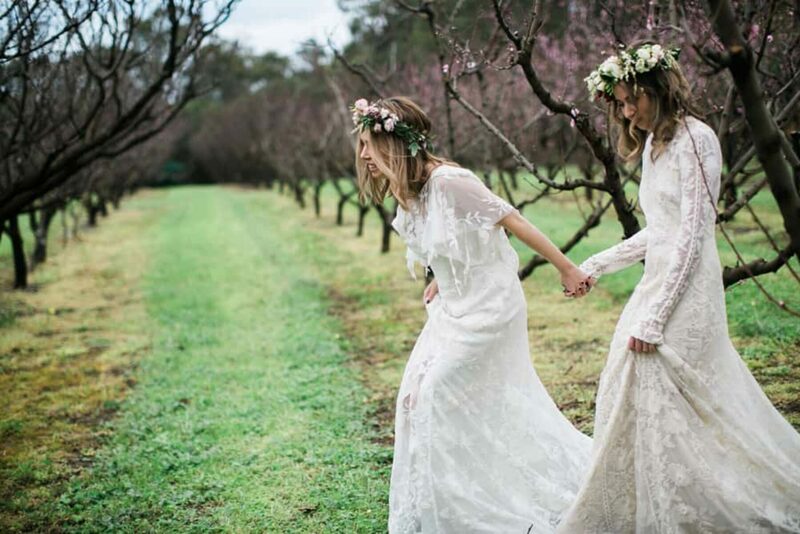 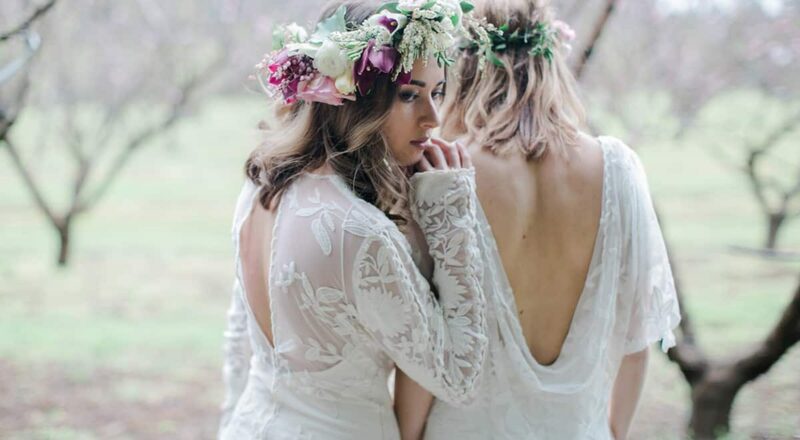 Playing out in an Albany orchard in full blossom, this secret garden-inspired shoot features the coveted Poppy and Chloe Rue de Seine gowns, sourced from Fremantle boutique, Through the White Door. 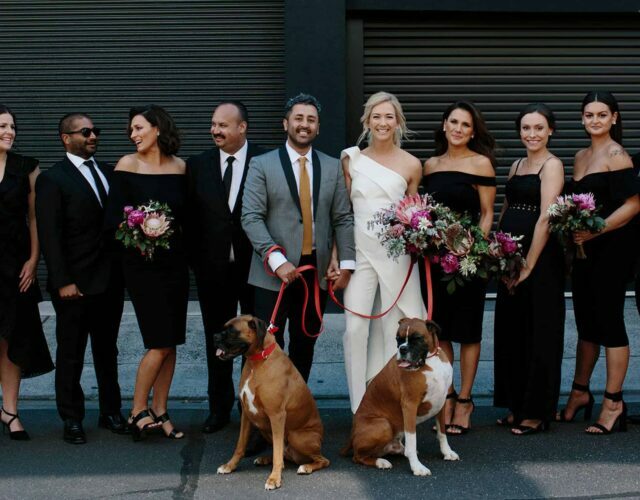 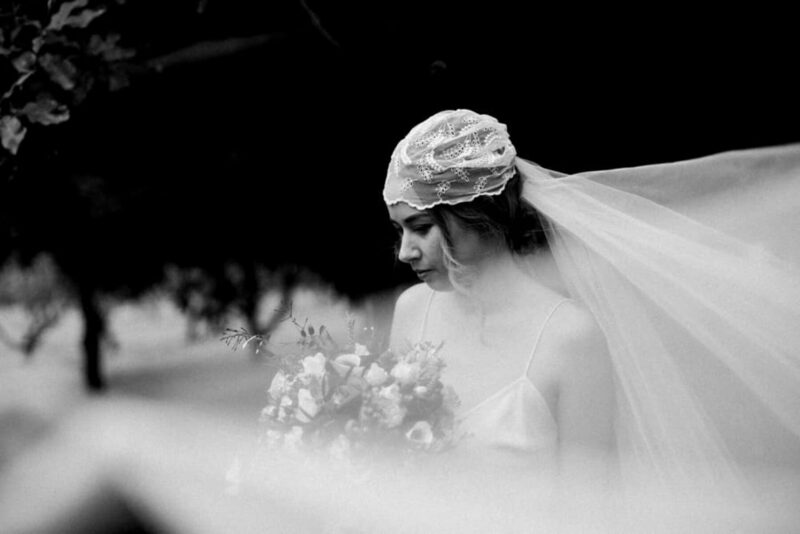 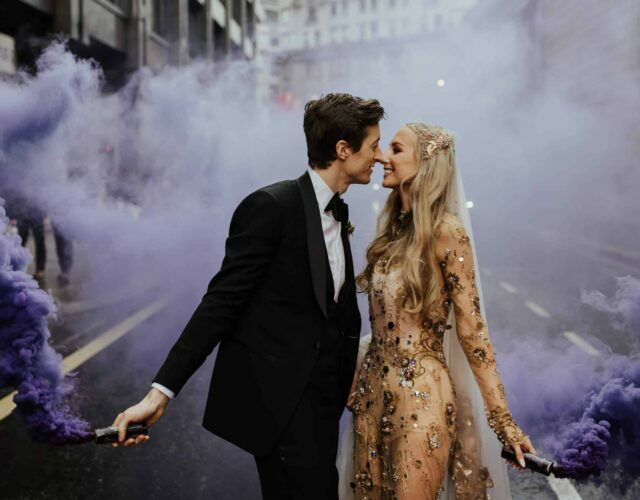 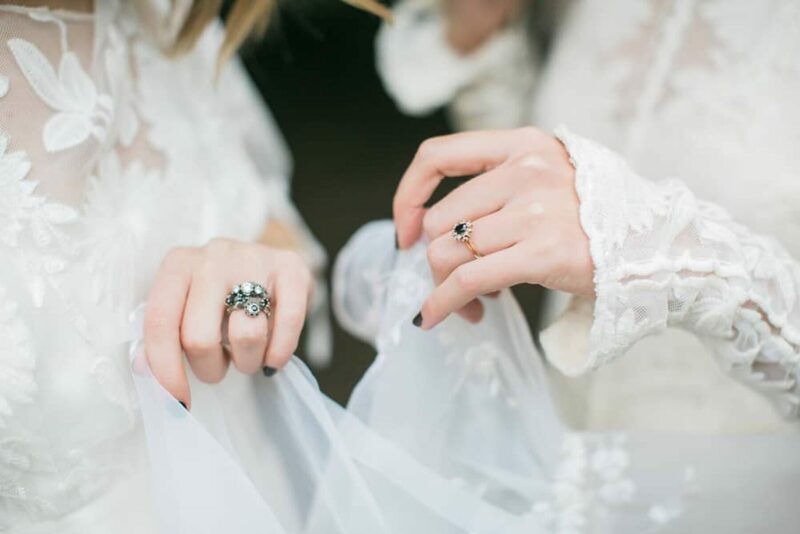 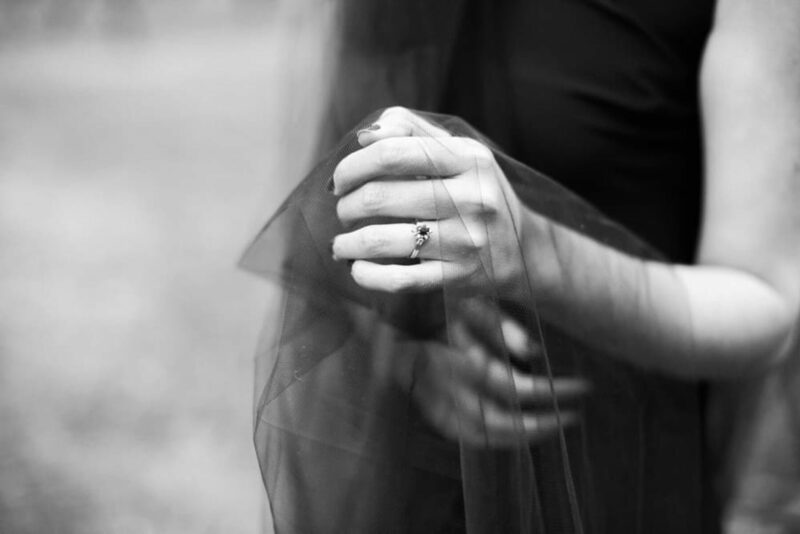 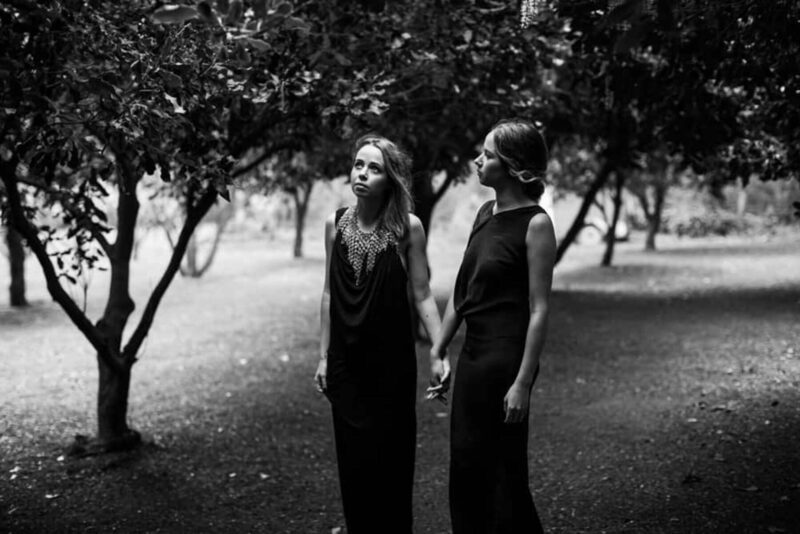 Styled by the team at The Temple, the demure brides make a moody costume change with dramatic black gowns by One Fell Swoop, Denise McConnochie Veils and moody jewels by Julia deVille.